The oil and gas industry welcomed the chancellor’s announcement on stable tax measures and plans to make Scotland a “global decommissioning hub”. Philip Hammond said the government will “maintain headline tax rates at their current level”, putting to rest concerns about cuts amid the rising oil price. Media reports earlier this year suggested the recent recovery in the oil price could put tax relief measures in the firing line. The announcement to maintain the regime has been broadly welcomed by the sector, but measured with a warning that an emergency budget in a “no-deal Brexit” means “nothing is off the table”. Trade body Oil and Gas UK said it is recognition of the industry’s hard work “following one of the most testing downturns in its history”. Leading oil and gas consultancy Wood Mackenzie agreed the move was positive, but added the stable tax system could change amid a no-deal Brexit. A spokeswoman for the firm said: “Petroleum tax rates were changed several times during previous price swings over the decades but, at least on this occasion, the government has stuck to its promise to keep the system stable, predictable and competitive for the time being. Deidre Michie, chief executive of Oil and Gas UK, said: “The chancellor’s commitment to fiscal stability is welcome recognition of the hard work by industry to encourage recovery following one of the most testing downturns in its history. Mr Hammond also issued a call for evidence on plans to make Scotland a global decommissioning hub, but was warned the UK must act quickly as other countries are already making moves in that space. The chancellor announced the plan to work with the Oil and Gas Authority (OGA) to strengthen Scotland and the UK’s position for removing infrastructure offshore. It comes as Oil and Gas UK recently announced that 11 decommissioning projects have been announced by companies this year, more than the last three years combined. 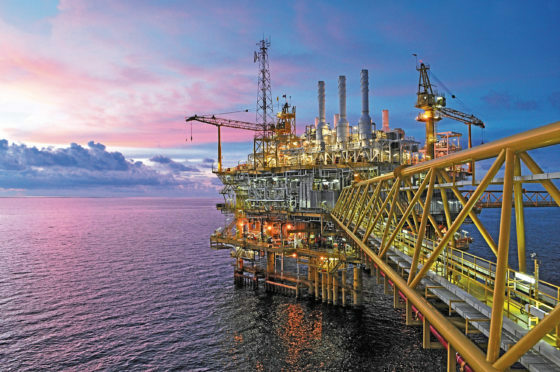 Martin Findlay, senior partner at accountancy firm KPMG in Aberdeen, said: “Although oilfield decommissioning may be slower than would be the case had oil prices remained low, other countries are already moving to secure their share of the spoils of decommissioning work. Meanwhile the Office for Budget Responsibility upwardly revised its forecast for North Sea revenues by £1.2billion on average per year through to 2023 due to the higher price of brent crude oil, which recently climbed to $85 (£66) per barrel.